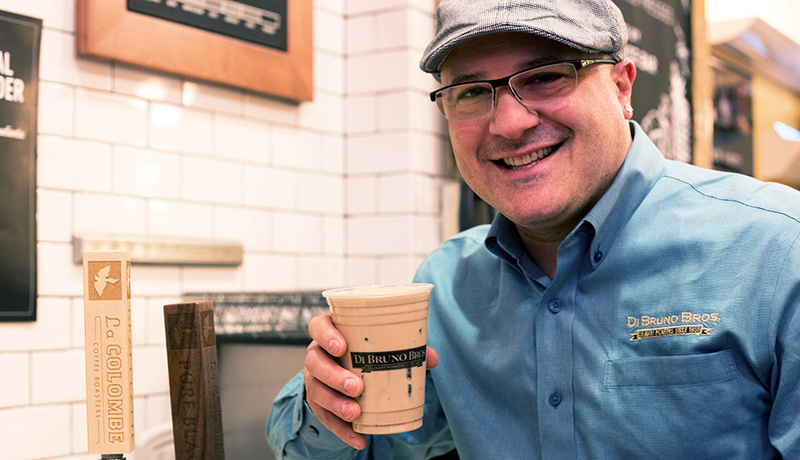 Di Bruno Bros. Emilio Mignucci with a cup of La Colombe Draft Latte. Back in June, Todd Carmichael told Philadelphia magazine that he planned to revolutionize the world with his Starbucks killing canned draft latte. A bold statement for the founder of Philadelphia’s La Colombe but that’s the kind of guy he is. Shortly after that statement, he rolled out draft latte at all his cafes in Philadelphia, New York, Chicago and Washington D.C. This week, Di Bruno Bros. Rittenhouse Square location at 18th and Chestnut Streets became the first external location to offer La Colombe Draft Latte on tap. Draft Latte for the uninitiated is a frothy iced latte served from a tap system. The process allows La Colombe to pressurize the milk and give it a silky textured mouthfeel like a traditional latte. The partnership with Di Bruno Bros., itself a long time staple of Artisan products in Philadelphia, is is just the start of what promises to be a big month for La Colombe. 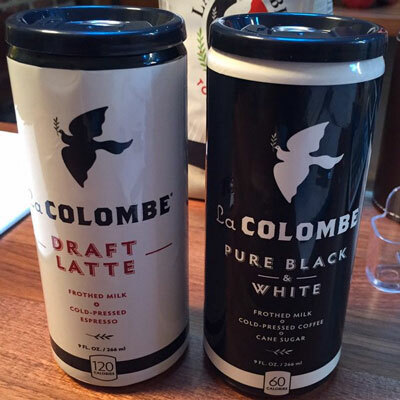 La Colombe Draft Latte cans start shipping the week of February 15th. Cans of Draft Latte and Pure Black and White will start rolling out to Philadelphia La Colombe cafes during the week of February 15th. After that the cans will be made available online and in the other La Colombe cities. But all of this is just preamble to Carmichael’s plans to sell the Draft Latte and Pure Black and White through specialty shops, supermarkets and convenience stores.